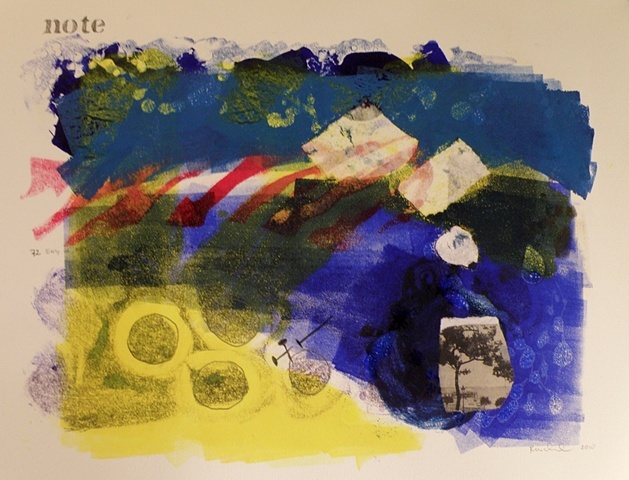 This monotype was created from multiple layers of printing, pencil notations and a single collaged photograph. It was inspired by summer visits and picnics on rocky Mediterranean beaches. Very blue.